The Körnlisegg is a real mountain restaurant straight from the pages of a storybook. 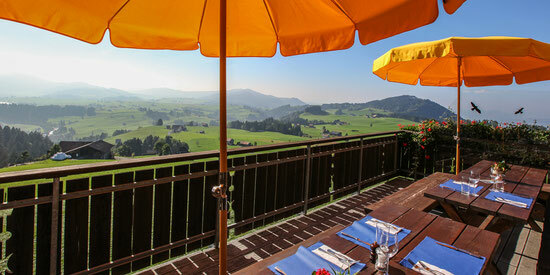 The view is breathtaking and the food is traditional and of excellent quality. Opening hours over Christmas, New Year, Easter, school holiday in spring and sommer please see the information here. Please note that the Restaurant Körnlisegg is a non-smoking restaurant. Dogs are not permitted inside the restaurant and on the balcony. Dogs may join guests on the terrace or rest in the dog house provided.